Back in 1993, American kids got a look at a brand new show about teenagers who had been granted mystical armor and giant robots to help fight the otherworldly forces of evil. The Power Rangers franchise became a huge hit with school-age children, and has remained in the zeitgeist for the past 25 years by putting out at least one new season per year, and continually creating new iterations to keep things fresh. The franchise has also seen over 20 different video games added to it, and now developer nWay Games is set to bring us one more. The franchise’s very first fighting game, Power Rangers: Battle for the Grid, will feature canonical characters – both heroes and villains – from the various versions of the Power Rangers universe. 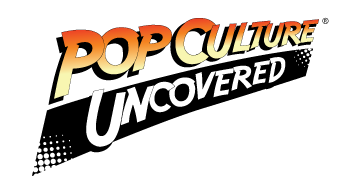 There’s been no full roster released yet, but we do know that the first four characters announced are: Jason, the original Red Ranger (portrayed by Austin St. John); Gia Moran, the Yellow Ranger from the Super Mega Force version of the series (played by Ciara Hanna), Tommy, the original Green Ranger (played in the series by Jason David Frank); and Lord Drakkon, Tommy’s evil alter-ego. It also appears that the game’s website has 11 empty slots for other characters; which will presumably be revealed as we get closer to its official release. In addition to that, nWay Games’s press release about the game mentions “Lord Drakkon Evo II, and Mighty Morphin Power Rangers Pink Ranger skins”. Whether these are just alternate looks for existing fighters or unique characters themselves remains to be seen, however. Finally, the title will also have a “season pass” available for gamers who want it, which will contain three more characters (and presumably allow for DLC access). From the looks of the teaser trailer, Power Rangers: Battle for the Grid will have some heavy-hitting action featuring great sound, vibrant color, and epic special moves. It also looks like we may see some tag-team action, with two characters teaming up to deal massive damage to their opponent(s). Also, while the fast-paced action and combat may be the focus for the game, let’s not count out the detail in the backgrounds as well. nWay Games obviously put some good work into making this title, and we’re interested to see how it plays out. Lest you think that nWay Games is going into this franchise somewhat blind, we would remind you that this is not their first “toe in the water”, so to speak. In 2017, the developer released the mobile title, Power Rangers: Legacy Wars, a card/fighting game hybrid. Still, the fights in that game were decidedly slower than the frenetic action we see in the above trailer for Power Rangers: Battle for the Grid. If you’re excited for a new Power Rangers fighting game, you’ll only have to wait until April for its street date. The title is being released across console platforms (PS4, Xbox One, and Nintendo Switch), and will hit Windows PCs later in the year (although the specific date for that has yet to be announced). 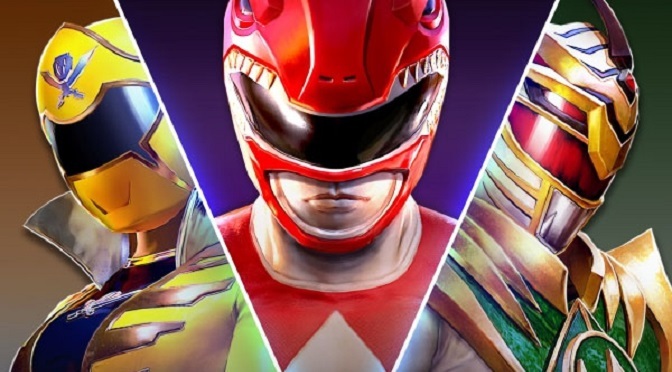 Power Rangers: Battle for the Grid is also set to feature cross-platform play, so Nintendo Switch, Xbox One, and PC users (sorry: no PS4 cross-play yet) will be able to battle it out together, without having to share the same system types. Finally, for those who may be lamenting all of the cool games coming out this year, and the toll they’re set to take on our wallets, you need not worry about shelling out a full $60.00 for this title. The game is set to release in a digital-only format for a paltry $19.99. Power Rangers: Battle for the Grid looks very similar to Power Rangers: Legacy Wars. Anyway, here’s a piece of advice. Everything doesn’t revolve around graphics. It’s the gameplay, story and character that matter. I’m looking forward to what this interesting Power Ranger fighting game has to offer.So Mortal Kombat 11, you better watch out! Great share by the way. Not sure what you’re driving at with your “piece of advice”. There is more to the article than the *single* mention of how the game looks (which is a positive mention, at that).